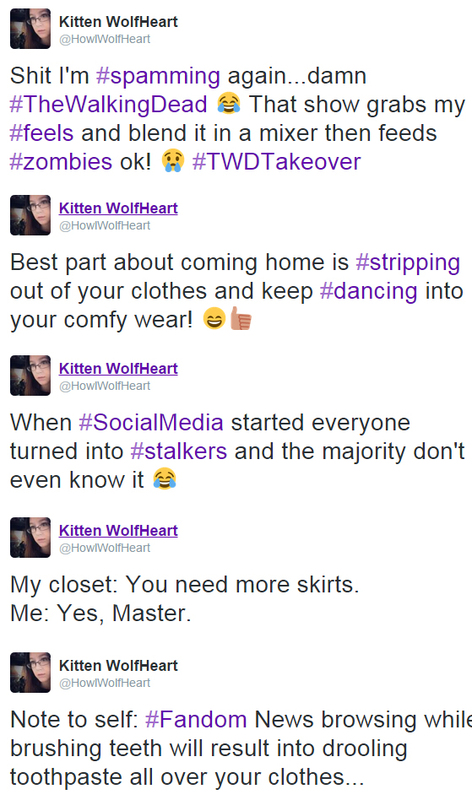 The Howling WolfHeart: Recent Tweets! The more active I am on Twitter (which I am a lot right now) the more it becomes me in a nutshell hehe. If you want daily updates this is the place to follow me on :) Do you tweet? Glad you're having fun on twitter! I LOVE TWITTER. I feel like it's such a friendly platform (well, I guess when one follows nice people) and more open and inviting than facebook. ;-) That last tweet is hilarious!